In a recent study, scientists at Johannes Gutenberg University Mainz (JGU) have identified an enzyme responsible for aircraft-related vascular damage. The researchers were also able to show that nighttime noise has a particularly harmful effect and suggest that nighttime sleep be protected from noise. With the current study, the team led by Professor Thomas Münzel, director of cardiology I at the Department of Cardiology, and Professor Andreas Daiber, head of molecular cardiology at the Department of Cardiology, consistently pursue the field of noise research and can announce another breakthrough. The new study is published in the European Heart Journal. Aircraft noise leads to an increased development of cardiovascular diseases in the long term, as a series of precursor studies has now shown unequivocally. In 2013, the research group of Professor Thomas Münzel demonstrated that simulated nocturnal noise increases the stress hormone epinephrine, reduces sleep quality, and damages the vascular system, a condition called endothelial dysfunction. Further studies on a newly developed animal model showed last year that aircraft noise leads to a significant increase in stress hormones, vascular dysfunction, increased oxidative stress, and inflammatory processes in the vessels, as well as a marked change in the expression of genes in the vessel wall. "With this new study, we can demonstrate for the first time that 'nighttime noise', i.e., noise during the sleep phase of the mice, and not the noise during the waking phase is responsible for vascular dysfunction," stated Münzel and Daiber. "We can also show that the elimination of the enzyme phagocytic NADPH oxidase, which is located mainly in inflammatory cells, completely avoids aircraft noise-induced negative effects on vessels and brain." This enzyme was also a focus of the scientists in the last study. The current investigations finally prove its central role and provide proof that negative aircraft noise effects are mediated by this enzyme. The scientists have also examined the effects of aircraft noise on the brain. The focus was on neuronal nitric oxide (NO) synthase, an important enzyme in the brain. Responsible for learning and memory, this enzyme is down-regulated by aircraft noise and its function is impaired. This new finding may explain the described cognitive developmental disorders in children after exposure to aircraft noise. Another finding is that the transcription factor FOXO3 plays a central role in noise-induced vascular and brain damage. The consequence of the observed down-regulation of this transcription factor by nighttime noise leads to a defective gene expression network that controls cellular events as a function of circadian rhythm. Disturbance of the circadian rhythm can lead to sleep disorders and subsequently to more cardiovascular, mental, and metabolic disorders. To this end, the scientists came to this conclusion through extensive genetic analysis by means of next-generation sequencing (NGS) and by demonstrating prevention of vascular damage by treatment with the FOXO3 activator Bepridil. According to the study initiators, these results represent a further breakthrough in noise research. "With our findings, especially with regard to nighttime noise, we can now explain clinical results, e.g., according to the so-called HYENA study, where nighttime noise in particular can trigger high blood pressure. 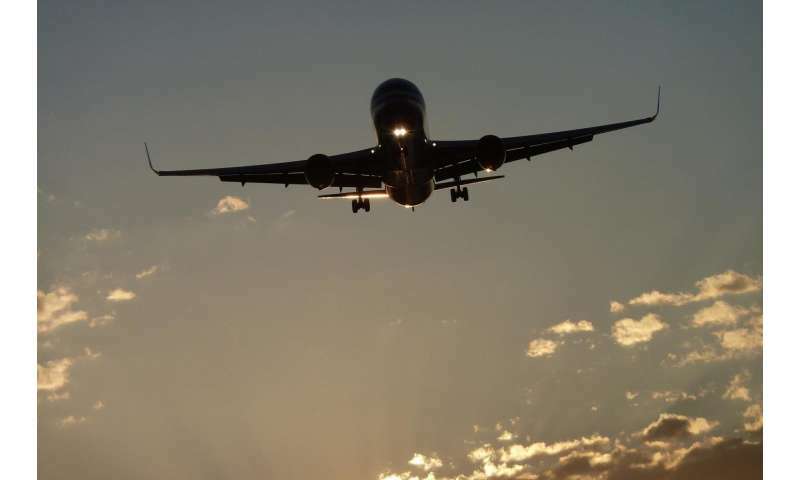 The finding that the elimination of the enzyme phagocytic NADPH oxidase completely prevents vascular damage may enable us to develop drug strategies to reduce the negative effects of aircraft noise for our body," both scientists commented. The authors conclude from their findings that it must be an important goal to protect night sleep from noise, and in particular, to implement the legally defined night's sleep from 10 p.m. to 6 a.m.